Note Windows 64 bit users: I am aware the driver didn't install and updated the installer accordingly - please redownload to get the fixed copy. Chell supports the GMA 950, GMA 965 (X3000), the GMA 3000, GMA 3100, GMA 3150 and some of the GMA X3100. Device wise that's for the 945G (82945G), Mobile 945, G965, Mobile 965, Q965/Q963, 946GZ, G33/G31, G35, Q33 and Q35. * Compatibility fixes that make the driver work better on some systems than even the stock Intel driver couldn't run on. 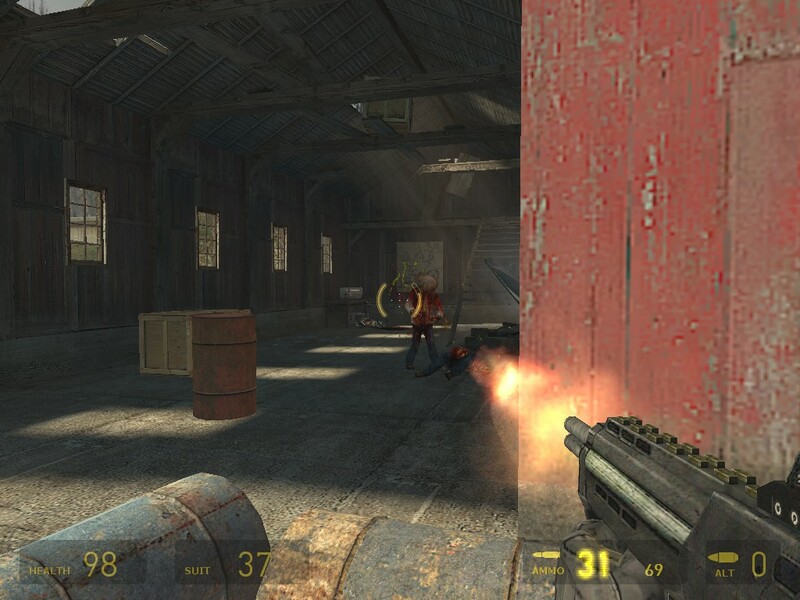 Originally named Chell v1.7b, but was based on the Windows 8 driver provided by Microsoft with specialized OpenGL driver files created by Daniel_K. It isn't as fast as nor does it have Software Vertex Shaders like Chell 1.6b's base, but it does fixes flickering issues within games like Warcraft 3, Age of Empires, Civilization 4 and Return to Mysterious Island. It was renamed to Mobius to avoid confusion with the current Chell version. It supports all the chipsets Chell does and doesn't require a separate driver for the GMA 3150! A modified version of IntelliModder32's PHDGD Solo v1.2.0 driver to include the Chell v1.7b settings with a few settings specially geared towards the supported hardware. Another notable thing about it is that it comes with a OpenGL 2.1 driver that allows you to play games like MineCraft without needing any special hack like MESA. 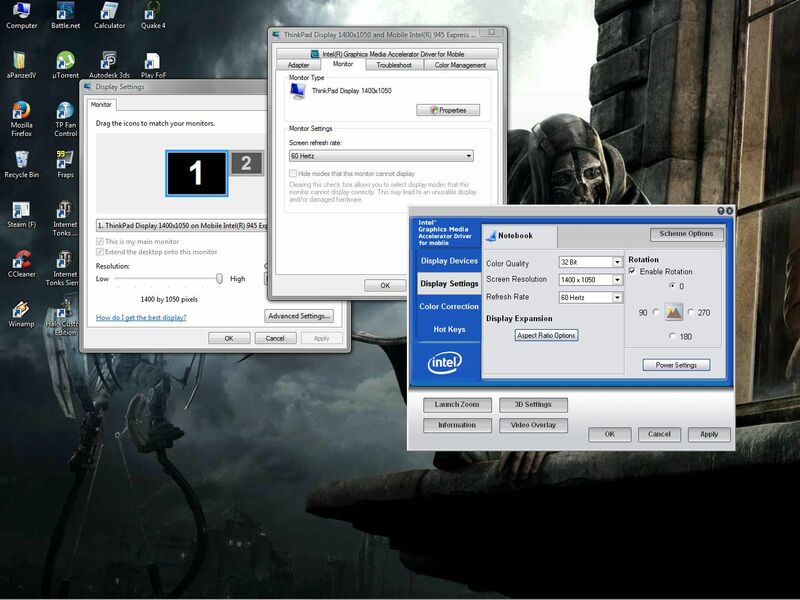 GMA Gaming Tools | Mirror - Includes Intel GMA Reg Modder, Intel Display Adapter Management Tool, addgame(-xp).reg, 3D Analyze, two version of SwiftShader (latest version downloaded from the official site [with x86 and x64] and a cracked copy of 2.0.1 - both with example configurations), latest GPU-Z, FRAPS, GMABooster, the Oldblivion files for Oblivion and Fallout 3, Display Driver Uninstaller, WindowedBorderlessGaming, Ultimate Windows Tweaker for Windows 7/8, Mz XP Tweaker for Windows XP and the game list below. Read requirements.txt for what's needed (with links) to run GMABooster, Intel Display Adapter Management Tool and Intel GMA Reg Modder. 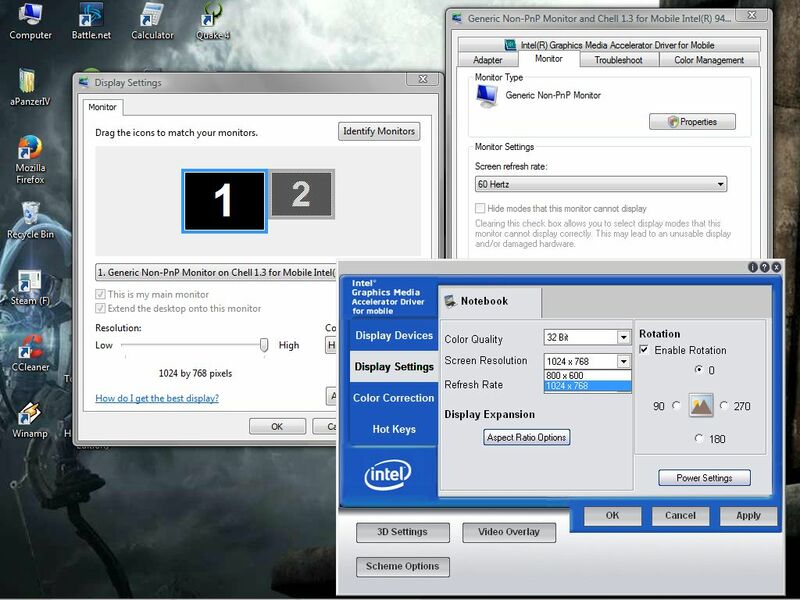 Hello, i am a user of Intel HD graphics 1000 (i3 Processor with intel hd graphics) and i have downloaded the tools package that you have uploaded, i currently use a driver that i made myself also based as what intellimodder32 did, i used the REG Modder Application and made Left4Dead start in "Hardware Mode" , i then relaunched game in native resolution and started it, i now lag much less as before i used the REG Modder, this app that you guys made are excellent and i want to thank you for that perfect package! I wanted also that we combine all our Knowledge to make optimal drivers for our intel graphics, so maybe you also can make drivers for other than GMA 950, like for all intel graphics and improve them! if you want to check the driver i made, check out this link for download : http://puu.sh/aIrkO/b4fc7c0808.zip , i wanted also to know more about some reg modding files, like the "addgame" file, it adds a 3D context game to registry without need to modify and reinstall driver, if i am wrong please correct me! Also it would be cool if you put AJAX chat in this forum! Thanks for your work again. One thing I would recommend is to try setting it in "Software Mode" - that should make the card emulate Vertex shaders on the CPU rather than hardware. That should give you a more noticable boost. This is also the default setting when you add an exe files using 3DContext from the inf file. Addgame is just a normal reg file that inserts enteries to the same place that the other tools use. Generally, dword:00000000 is hardware mode, dword:00000001 is software mode and dword:00000002 is "unknown". With older hardware (like the 9xx series), the Vertex Shader is seriously lacking - since the hardware only provides one and it's lacking features (it's only version 2 with some stuff missing). Using Software mode, it renders Vertex Shaders with the CPU instead while leaving other 3D rendering and Pixel Shaders to the Hardware. A Bonus is that the Vertex Shaders are also of a higher level with better feature support since it's using Version 3 instead of Version 2. This may have a similiar boost with never cards likes the HD series - you should check it out. hello again, so as you said software mode would give more boost but when i put left4dead in software mode, when games start loading, and when loading finishes it crashes and sais that "left4dead has stopped working", if you know why i'm getting that error could you please tell me? thank you for all informations! PS: also i would like to know in the driver inf, in 3DContexts, there is symbols like : _, ~, @. What does these symbols mean? Thanks again. Guess I was wrong then. Seems the Hardware Vertex on the HD 1000 is better than the Software version. As for the symbols, I'm not sure. In earlier versions of the driver, _ was used in the inf files for apps and games. They also sometimes had weird values like 17 instead of the traditional 0,1 and 2. Adding games with it didn't seem to have an effect that I could tell, but I only really tested it with Portal. The use of ~ had an effect and it's the most used symbol with the newer Vista/Win7 drivers. My own game list added through 3D Context uses just ~ to add games to the registry. As for @ - I've noticed that too and it's used in a similar way to _. Maybe it's like ~, but for newer drivers. Maybe try adding games using it instead of ~ with your driver and see if that helps or not. Would help if Intel provided comments as to what each symbol does, but honestly, only ~ ever worked in a noticeable way for me. EDIT: Changed my post after I checked out your driver's inf file. Seems the symbol changed over time and newer chipsets. They probably all do the exact same thing or have some minor variation to them. Maybe they control different versions of the renderer which means ~ gives you an older renderer than @ while _ gives you the oldest one possible. then add a game and see if it makes any difference. Well just before that i try the REG Modder application, i have modified the driver inf and added games to 3D Context, but those exe have the symbol @ before them, so i installed driver and check diffrence, i still had lag, but when i use your REG Modder on the game in Hardware mode, i had a boost and i lagged much less! One question is your REG Modder add games with ~ symbol or with @ symbol? Because maybe it is that what it boosted the game, i should put ~ instead of @! Thanks again. EDIT: I discovered something!, as you said i have put a custom addgame with the game name and when i put the symbol @ with value 1, the game doesn't crash, but there is no boost, but when i put the symbol ~ with the same value, it crashes, i think that is the problem with intelli modder driver on windows 8, because people said that on windows 7 it works! but on windows 8 games crashes, i think that the symbol ~ with value 1 crashes games, but with symbol @ it doesn't, that's why the driver for windows 7 isn't supported on windows 8 because it doesn't recognize the symbols (~) on windows 8, so changing the symbol ~ to @ in the driver should work but less boost, but when use value 0 with ~ it should work with a boost, the same thing than using REG Modder . They all add games with ~ before it. It's strange that setting games with ~ set to hardware mode (0) works so well, but I guess it's down to how the chipset were made. It's worth a try if you think it would work. In the inf file you'd have to change the @ to an ~ and make sure it's set as 0 instead me 1 to get the same effect as using a Reg Modder. EDIT: I'll make a guess as to why this is with Windows 8 - It could be that Windows' own DirectX software renderer might be getting in the way. 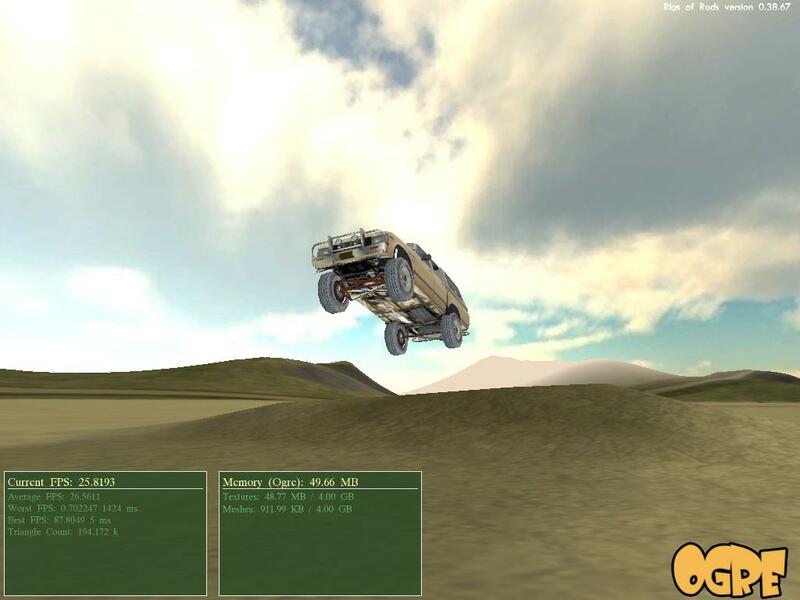 By forcing the driver to use hardware rendering, you end up using DirectX rendered on the HD Graphics chipset rather than the CPU. This is probably why you notice a boost in performance. Hello, i don't think it is because how the chipset is made, but the driver for windows version, because we have to put the correct values to make windows recognize, but maybe as you say it is the DirectX that render in hardware, but what is called to render when software is chosen? Maybe we will find out i will try putting ~ with Hardware value in inf. Thanks for informations. Microsoft's Windows Advanced Rasterization Platform (WARP) is pretty new. It's present in Windows 7, but not enabled by default and you could download it for Vista. Intel would have known about it and since it's a better software renderer than the one they provide with the driver, it would make sense that they'd try to use it where it's present. That's probably why it's part of the drivers for Windows 7 with the newer graphic chipsets. So using that, we'll assume that @ is used to enable the WARP renderer for that game. Since WARP is enabled by default on Windows 8 for most intergated chipsets, this means the @ does absolutely nothing. Now using ~ would enabled Intel's internal software renderer (when set to 1), but since it's older, it would explain why newer games would crash when using it. But by using ~ to set the game to hardware render (when set to 0), you force the system to use the Intel graphical chipset instead of WARP - hence the boost in performance. Compatibility might go out the window for ultra-new games, but that's pretty impressive. EDIT: Maybe try running a 3D Benchmarking program while alternating settings and see if there is any change to the scores. That should give you a good idea of the difference it makes. WARP will probably lose out in frames per second while pure hardware mode should get better frames per second. WARP might win out with sheer rendering ability though. Going on what we think @ and ~ does, this makes sense. WARP is present in Windows 7, but unlike Windows 8 it's not turned on by default. WARP can render most DirectX 10 and DirectX 11 games without any trouble, while the older software renderer in the Intel driver can only handle most of DirectX 9.0c and some of DirectX 10. Also at best the Intel one only gives us Vertex Shaders up to version 3, where WARP (and the hardware itself) can give us up to version 10. So if @ enables WARP for that game on Windows 7, then newer games should be playable, but maybe a little slow. If we use ~, then the game will only have a Vertex shader version 3, which will make newer games crash as it doesn't support the newest graphics instructions. But by disabling software rendering by forcing hardware rendering through ~, you get Vertex shaders up to version 10 done by the graphics chipset itself. Since almost all new games support that, they would run without problems and since it's being done on the hardware rather than software, it frees up the CPU and gives you a minor boost in speed. Ok, maybe that's a little complicated. But let me summerize: WARP is good, but slower than hardware. It's enabled on Windows 8 by default, but not Windows 7. @ probably turns on WARP for that game on Windows 7. Intel's own software render is old and only supports up to vertex shader version 3 - which is too old for the newest games. So the newest games will crash if it's turned on using ~. The HD 1000's hardware pixel and vertex shaders are atleast version 10, so most games should work with them. Using ~ set to 0 forces the use of hardware rendering, which is way faster than WARP. Does that make more sense now? Knowing IntelliModder32, that's very likely. I had to add 3D Context myself when I redid their driver. It was in the inf file mind you, but wasn't used by the device's driver settings at all. Could also be a version mismatch issue - if the Pixel Shader version is high, the game might be assuming that the Vertex Shader is at a similar or higher version. So using ~ would give you Pixel Shaders at version 10 while Vertex Shaders are only at version 3 - the game would be expecting atleast version 10 Vertex Shaders and be sending version 10 instructions - which would make the Software Vertex Shader freak out - and the game will crash. I tried warp in windows 8.1.
on this laptot fps dropped down dramaticaly. Mabe will be more usefull on better cpu. Then it load default driver and should be warp . Mabe i understud wrongly what i reeded at some webs to force warp , if yes, can you correct this and show me how use warp? What are the resolutions this driver is capable of? 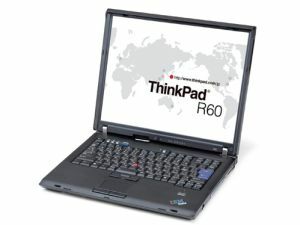 I installed them on my Thinkpad R60, and I am unable to display 1400x1050, the display's native resolution. I can only display 1024x768. Is it possible to manually set the resolution? The function allowing me to go higher than native res is not there. I didnt have this problem and my suggestion is only for trying help and i am not sure if it helps. 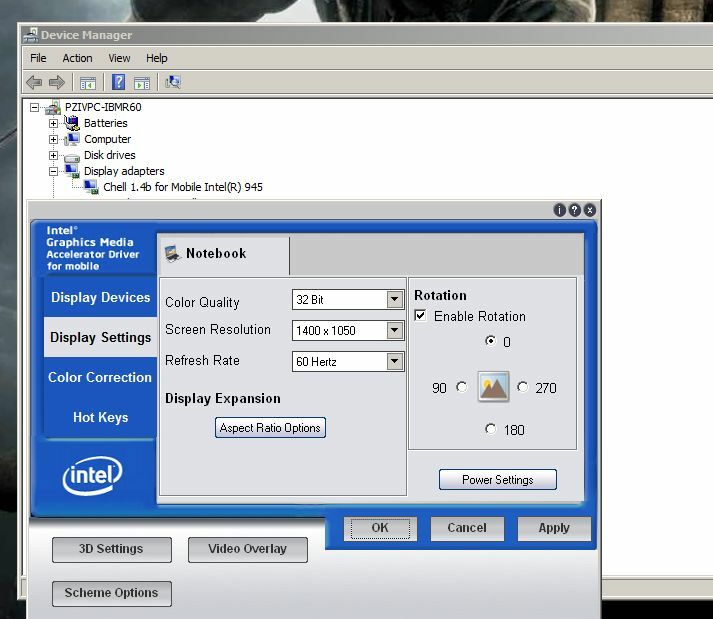 Try to change refresh rate? Is plug and play option enabled? Uninstall gpu driver first then install modded one? (2014-08-24, 19:05:48)Busted Wrote: I am not sure. The only thing it appears I can do is change the refresh rate between 50 and 60hz. I installed the chipset driver again to no avail, and having a clean install did not work. Sans Frontier driver won't display 16:9 aspect ratios, it appears to be a common problem with modded drivers. 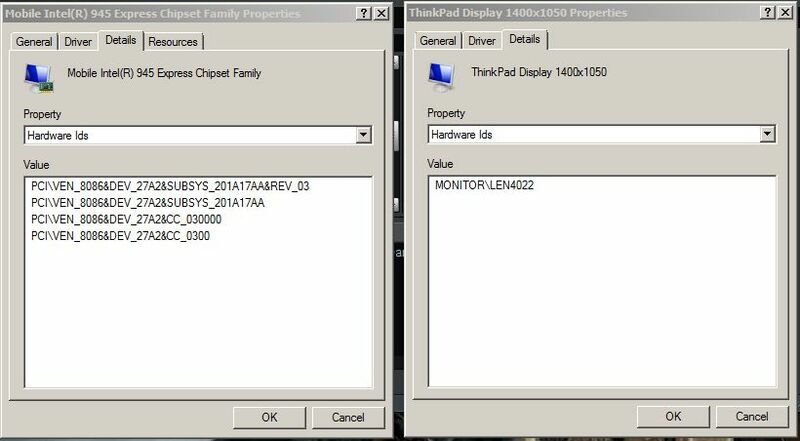 Regular intel drivers won't display the 1600x900 resolution, but after some research, that problem in particular sources from lenovo's behalf. It should be capable of whatever resolution the device can support - and maybe a bit further - I can set mine as high as 1920x1080, but it won't work with my monitor. I do note that it seems to force Generic PnP Monitor as the monitor device though. Maybe this has to do with a setting in the original IntelliModder32 driver. I'll have to look. Incidentally, what is your vendor and device ID? I may have made a mistake with the Mobile versions of the gma 950. You can get it from Screen Resolution---> Advanced Settings---> Adapter---> Properties---> Details---> Hardware Ids. It will be in the Value box and look something like PCI\VEN_8086&DEV_2772. If it's vendor 8086 and device 27AE then it's probably my goof. That's the first mobile version of the gma 945. Try the newest version of the Chell drivers: https://app.box.com/view_shared/7o35vu1qve4yc70x7wpr - The IntelliModder32 guys broke certain parts of PHDGD Classic driver to enforce settings, but that only made it unstable. So I redid Chell using the vanilla driver and cherry picked the settings I want from the PHDGD drivers. You'd probably get better results with it now. This seems to have fixed it, thanks! I will test out some games tomorrow. Not fantastic, but better than I thought the 950 could do, Thanks! It does give you a slight boost. You may want to do some quality toggling to get the best results. Generally running games at medium or high for texture quality with low for lighting and shadow effects gives you the best FPS. I still want to look into the Solo, Omega and Atlas drivers by Intelli Modder32 to see if I can sneak in a few more of their optimizations. I'm also going to look at Breinzter's RGH 4.2.64 - if I can get the damn thing to download. Fixed the XP version of Chell so OpenGL games run properly now.